The Cabot Trail is a 298 kilometre scenic roadway loop in northern Cape Breton passing along and through the Cape Breton Highlands National Park. It is of course named after explorer John Cabot who landed in Atlantic Canada in 1497. Most historians believe his first landfall was likely in Newfoundland and not Cape Breton Island, although Premier Angus L. MacDonald attempted to re-brand Nova Scotia for tourism purposes, as primarily Scottish. 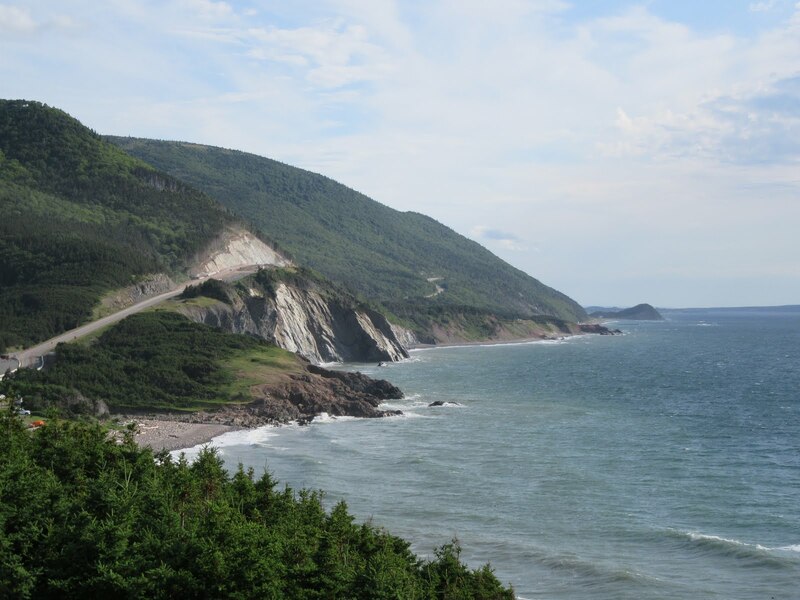 As part of this effort he created both the names Cape Breton Highlands and Cabot Trail and construction of the initial route was completed inn 1932. While in St. Peters, our group managed to rent two vehicles for two days of touring Cape Breton island. 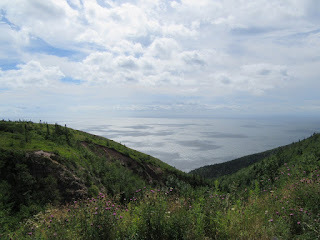 Day one was devoted to the Cabot Trail. We packed a lunch and also an overnight bag in case we found a motel or Bed and Breakfast with a vacancy, as the driving distances from St. Peters are rather long. En route to the Cabot Trail we stopped in the Dingwall area for lunch and then had a guided tour of the St Paul Island Museum and Lighthouse. 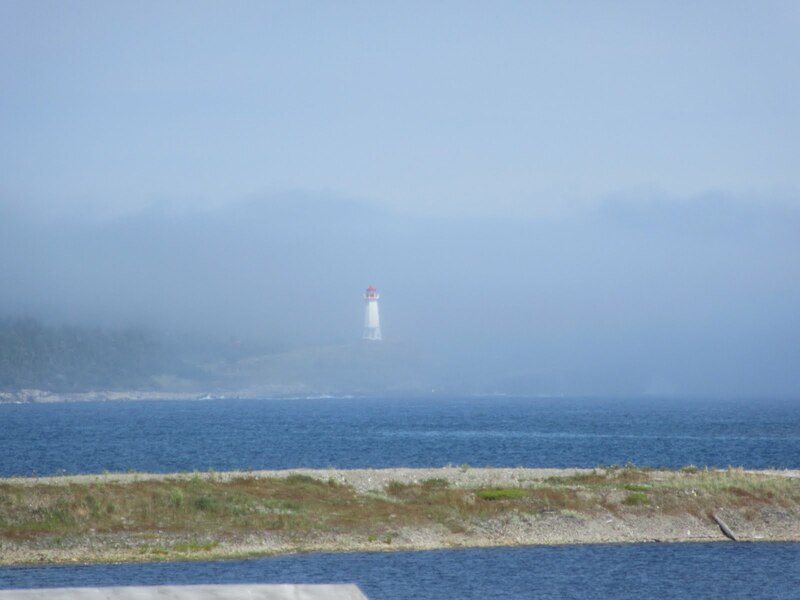 Nova Scotia has more lighthouses than any other province in Canada with ~ 150 at the present time. 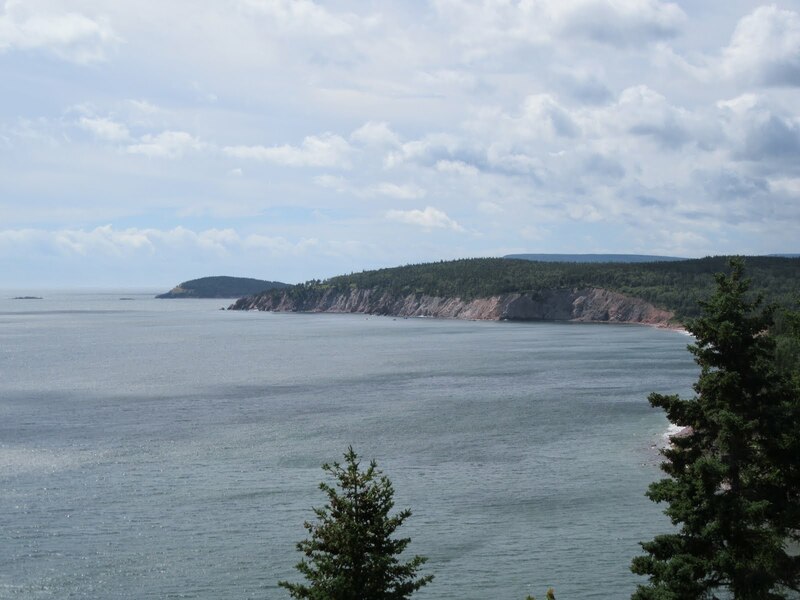 St Paul Island, 13 nautical miles off the northeast coast of Cape Breton Island, is locally known as the graveyard of the Gulf of St. Lawrence, with over 350 shipwrecks occurring there over the last 400 years. 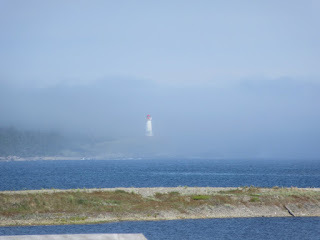 Because of the extreme danger to shipping through the Gulf of St. Lawrence to Quebec City, the British government decided to build two wooden lighthouses on St. Paul Island. The first southwest light was built in 1839, but was destroyed by fire in 1916. A cast iron replacement (the first in Canada) was prefabricated in sections in Ontario in 1915 and shipped to Cape Breton by train. 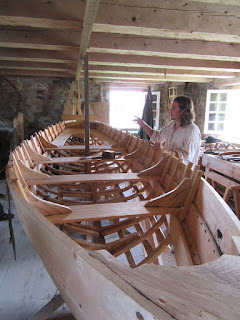 It took two years to transport the sections to Cape Breton and move them to St Paul Island by boat and then bolt the sections together. This lighthouse was replaced in 1982 by an automated one and the cast iron lighthouse now sits in Dingwall at the St Paul Island Museum. 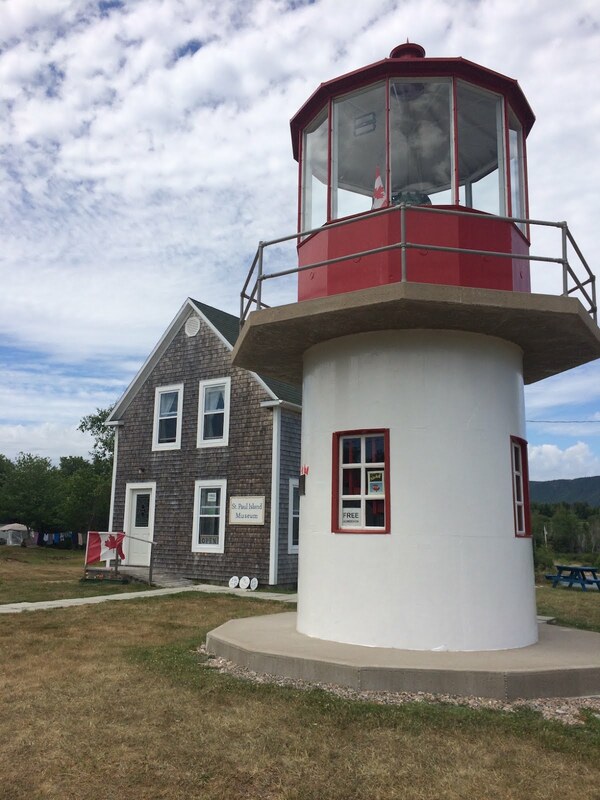 The museum and lighthouse are a tribute to the light keepers and their families. From the photos and artifacts at the museum, it is hard to imagine a more remote and isolated existence. However, we were told folks lined up to apply for the job. Those who were married were given priority as it meant there was a backup light keeper (the wife) if the husband fell ill or died. These dedicated souls helped keep the lights burning and shipping safer, at considerable hardship for many years. Automation of course ended these careers but their story is forever linked to Canada’s early history. 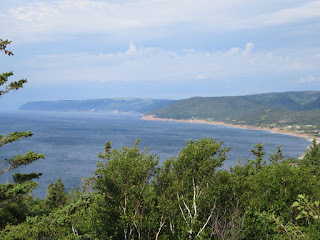 The Cabot Trail and the Cape Breton Highland National Park are simply spectacular. The forests are endless. The switchback roadway climbs to high peaks with magnificent shoreline and ocean vistas. We passed many very fit cyclists loaded down with gear for their long and challenging tour of the Cabot Trail. We also passed many less fit folk on motorcycles enjoying the ride on the lovely winding roadway. 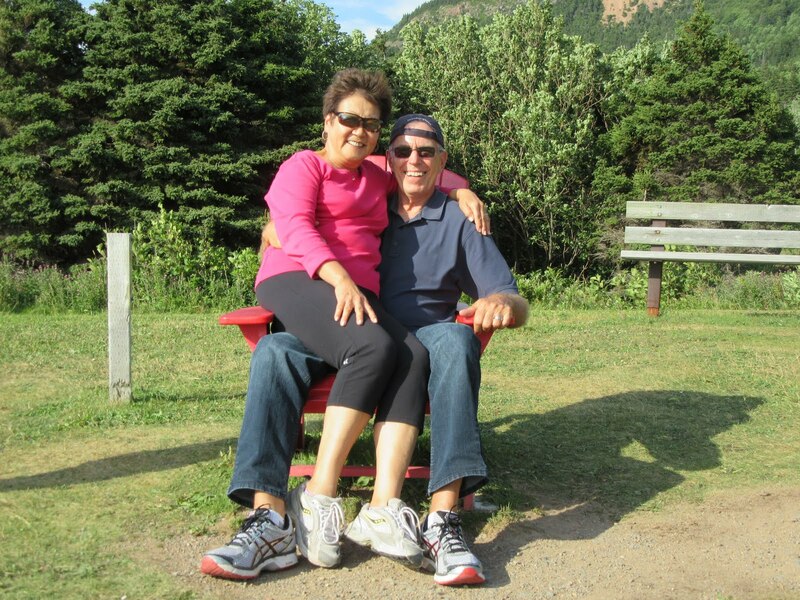 Later in the afternoon we stopped for a great early dinner at the Rusty Anchor Restaurant along the northwest shore of Cape Breton for a feed of Crab Cakes and Sole Fish N Chips. 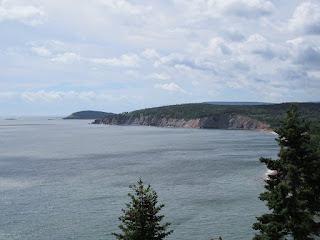 We wisely heeded advice to do the Cabot Trail drive in a counter clockwise direction so most of the time we’d be pulling off to the right hand side of the road (and back on again) at the countless “lookouts” we stopped at for yet another photo. Despite our best efforts, we found no motel or B&B vacancies.It was a lovely day and we were blessed with perfect weather for this drive, but we were well worn out as we didn’t get back to our boats until just before dark. 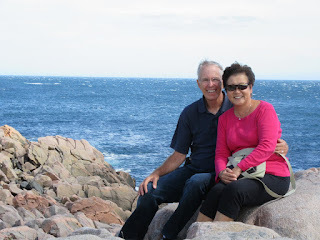 Day 2 of our car rental took us back up to Cape Breton’s northeast shoreline to see the Fortress of Louisbourg. This 18th century French fortress is a National Historic Site and its also been designated a Unesco World Heritage Site. The original settlement was made in 1713 as a fishing port and it grew to become a major commercial port and a strongly defended fortress. 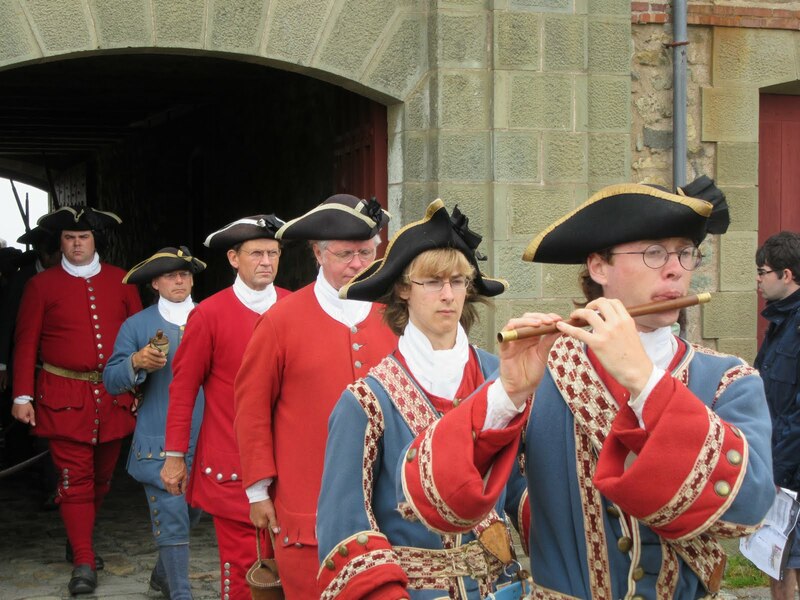 Fortified walls eventually surrounded the town and by the mid 1740’s Louisbourg was one of the most extensive and expensive European fortifications constructed in North America. Louisbourg suffered several key weaknesses. It was erected on low lying ground with low-lying hills around it and all its defences were directed toward sea-based assaults leaving land-based defences rather weak. Secondly, it was a very long way from France or Quebec from where reinforcements might be sent. As a result, Louisbourg was captured by the British in 1745 and it became a key bargaining chip in the negotiations leading to the 1748 treaty ending the War of the Austrian Succession. 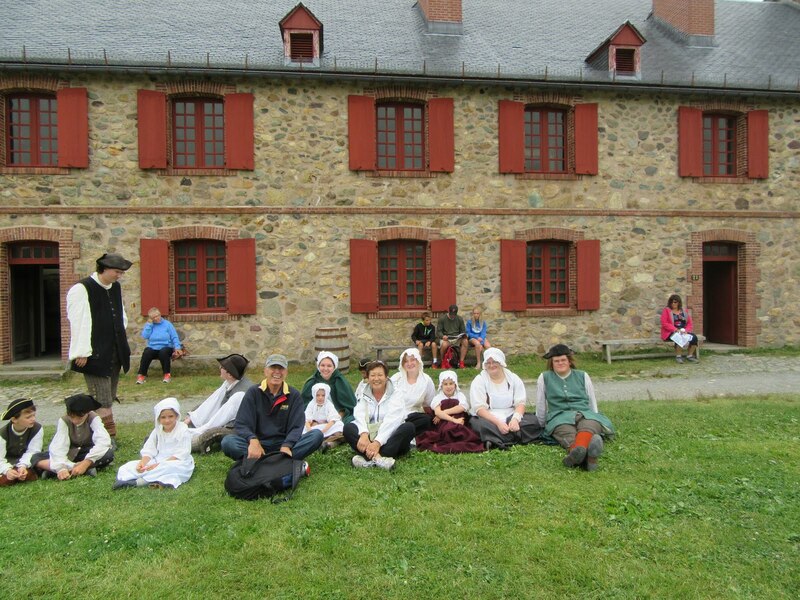 Louisbourg was returned to France in exchange for border towns in what is now Belgium. It was captured again by the British in 1758 in the Seven Years War after which its fortifications were systematically destroyed. 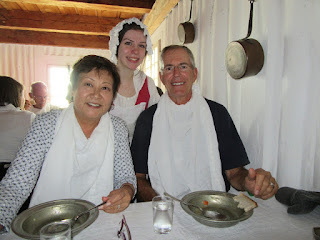 Starting in 1961 and throughout the 1960’s and 70’s, the Canadian Federal Government undertook a historical reconstruction of one quarter of the town and fortifications with the aim of recreating Louisbourg as it would have been at its height in the 1740’s. Unemployed coal miners were trained in French masonry techniques from the 18th century and other skills to create an accurate replica from drawings found in France. The work required interdisciplinary efforts by archaeologists, historians, engineers and architects. Today the site is run by Parks Canada and the fortress is staffed by locals in period costume helping visitors understand the history and what life was like in the 1740’s. It is an absolutely fascinating experience helping one gain insight Louisbourg’s importance in shaping Canada’s early history. 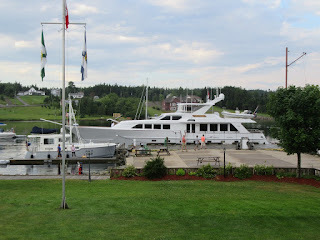 At the end of the day, after returning our rented cars, Jan (off of Wings) hosted a dinner in the marina clubhouse to celebrate Bob’s birthday. What a wonderful end of another perfect day on our Down East Circle Route adventure.